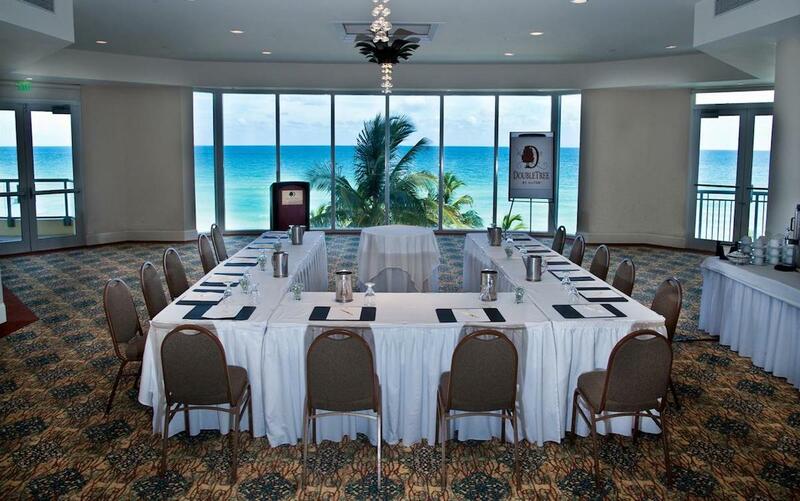 Plan your next meeting or group event on the beach! 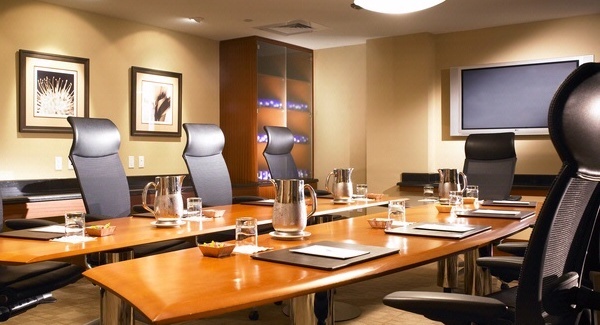 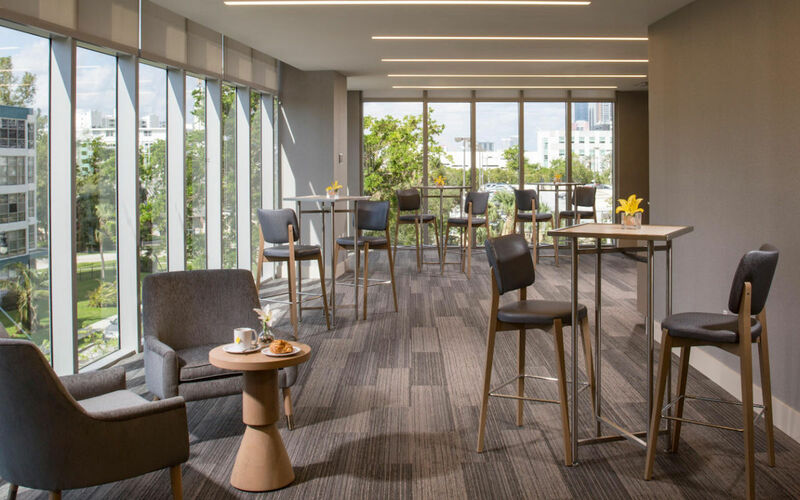 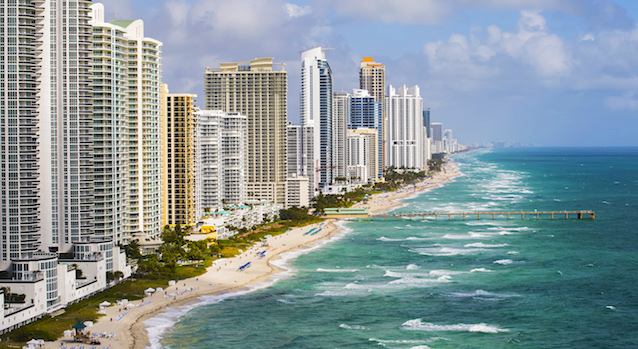 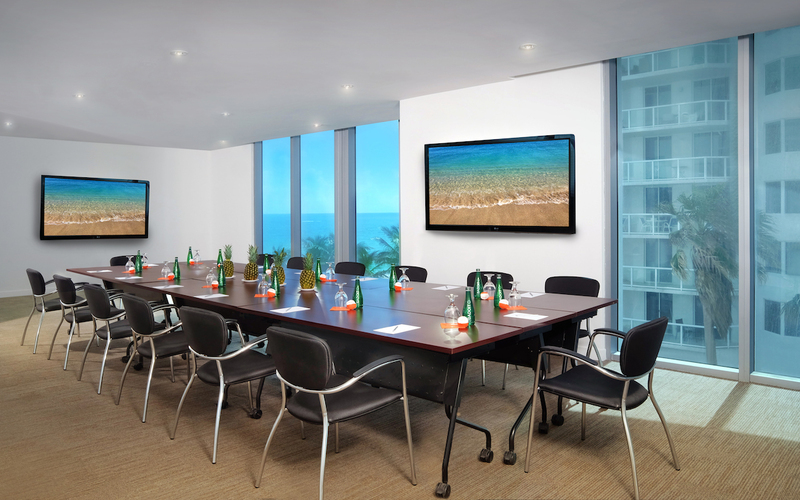 Superb Sunny Isles Beach hotels offer substantial meeting rooms and space, along with all the luxuries and amenities one could desire after an active day of meetings. 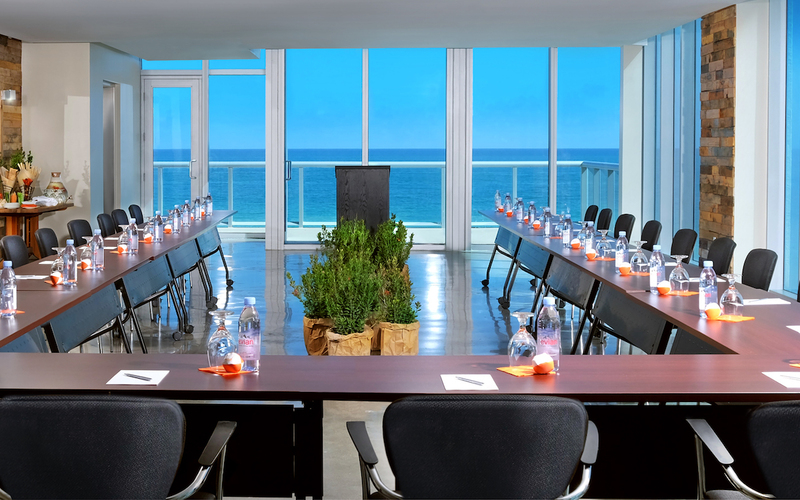 Ideal for corporate events, team-building activities, association meetings, training workshops, leadership seminars, and corporate executive retreats, our Atlantic Ocean backdrop will motivate, captivate and energize your attendees. 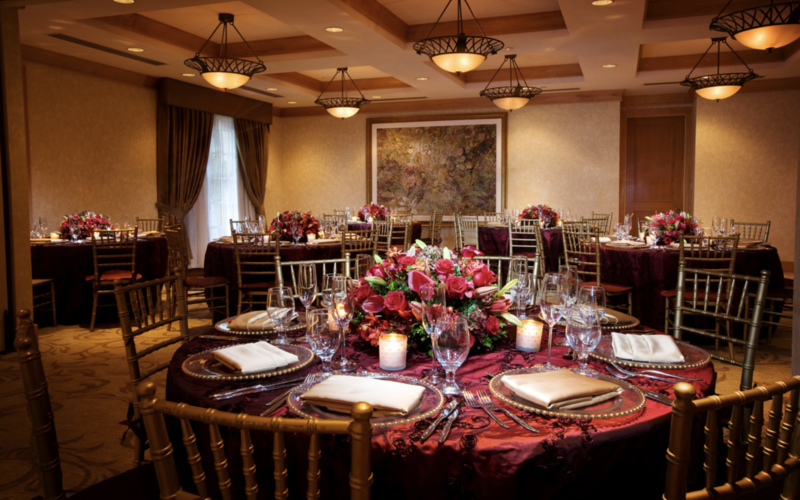 Whether you are hosting a large meeting or an intimate gathering, we have the ideal space for you. 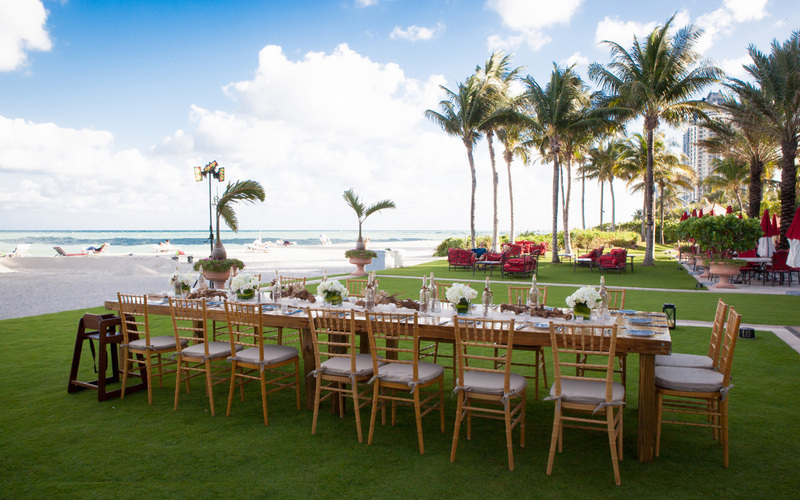 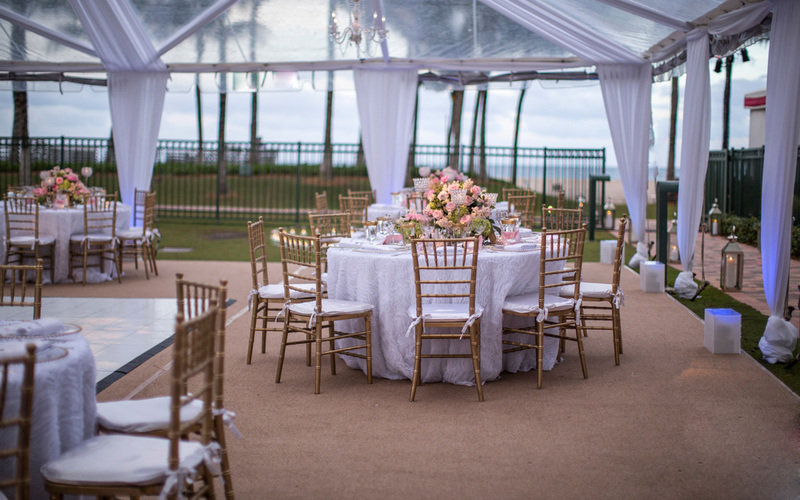 Acqualina offers venues ranging from an intimate boardroom environment to oceanfront lawn areas that can be tented and air-conditioned for more elaborate affairs. 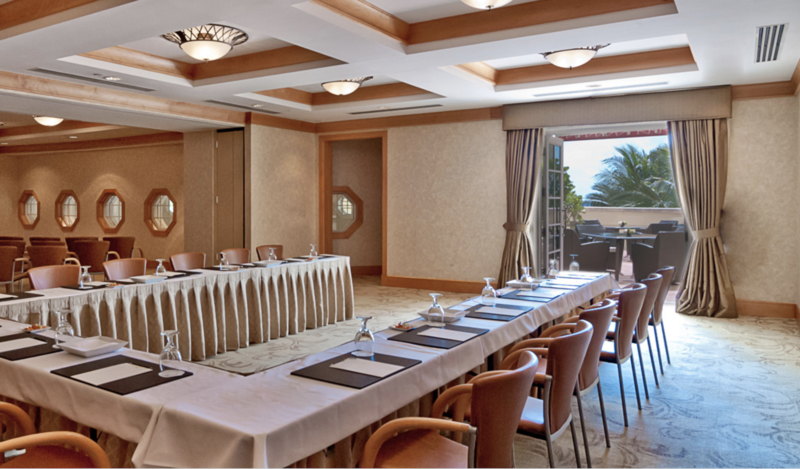 An ideal setting for meetings from 10 to 60 individuals or events up to 120 guests. 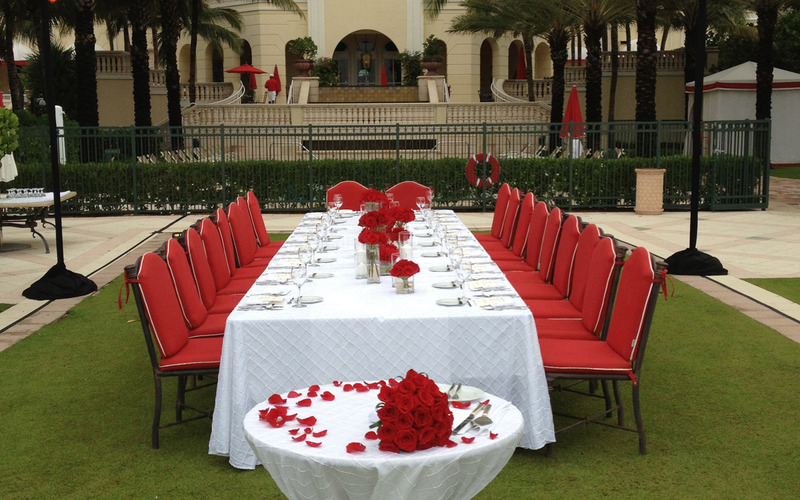 Acqualina ensures that all special events — whether a dinner for two or a banquet for 100 — will be spectacular, and most importantly memorable. 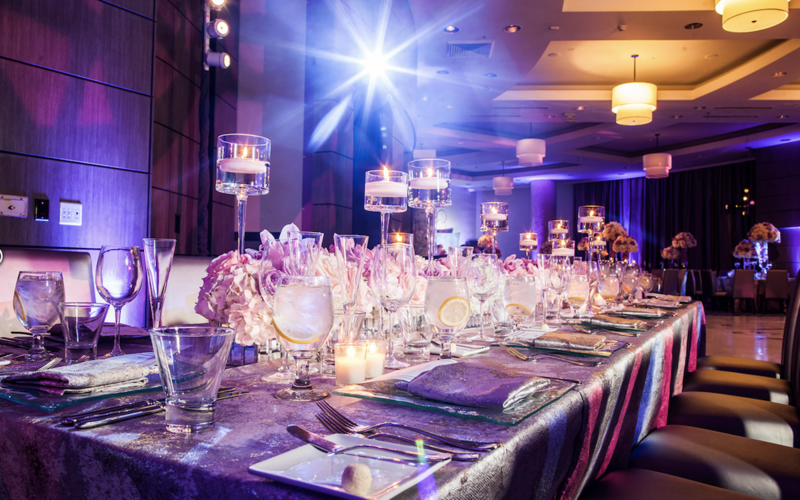 The team of event professionals are there to assist you with planning every aspect of your event, ensuring you surpass expectations. 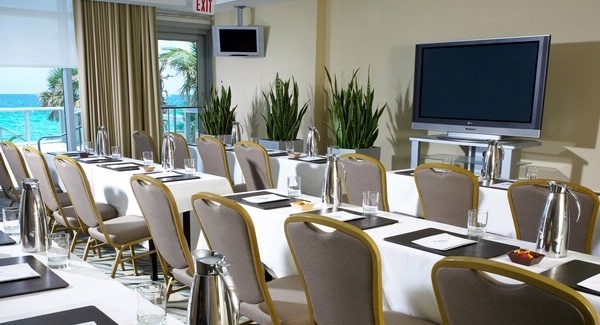 The DoubleTree Ocean Point offers a comprehensive special events program, including a full host of pre-formulated team-building exercises, ranging from Beach Olympics to “Survivor”-style games. 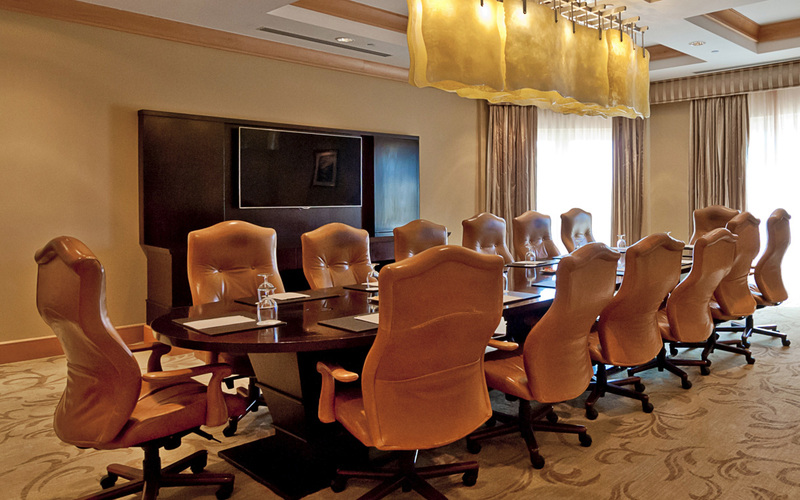 We welcome corporate groups to experience the warmth and intimacy of our natural environment. 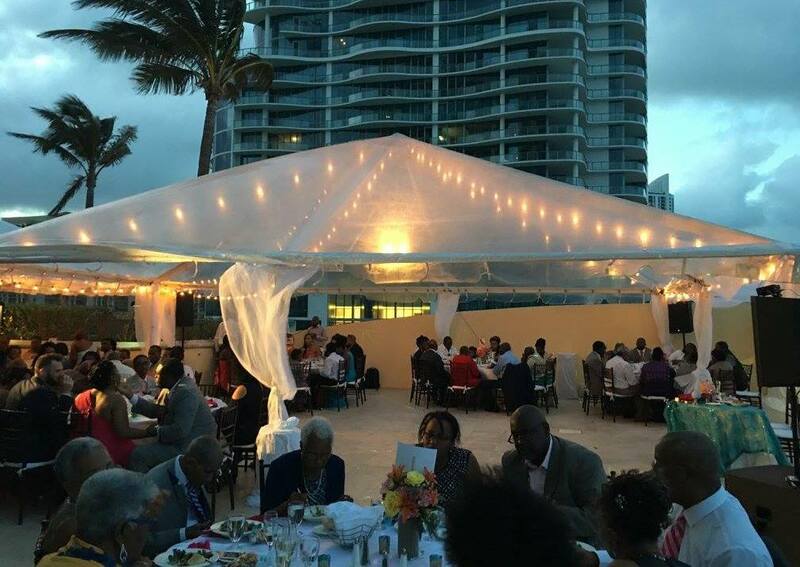 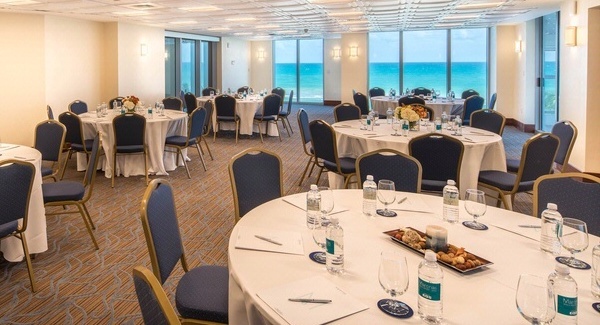 Whether you choose to host a formal Miami convention or a non-traditional day of team building, the DoubleTree Ocean Point offers the premier location. 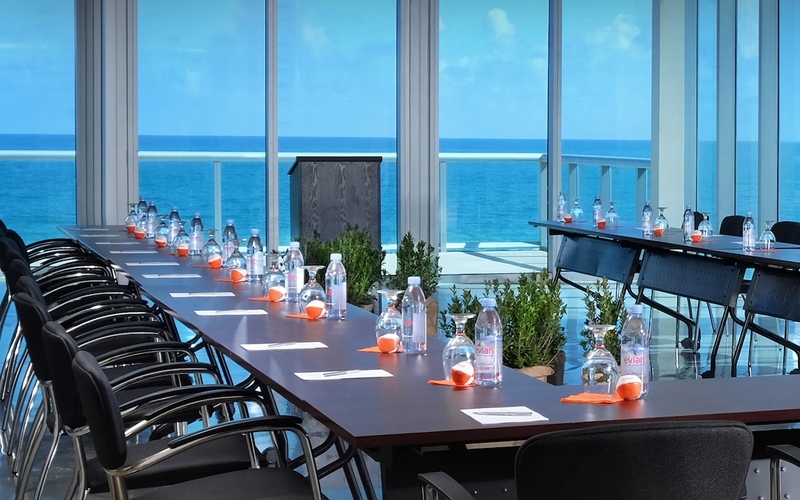 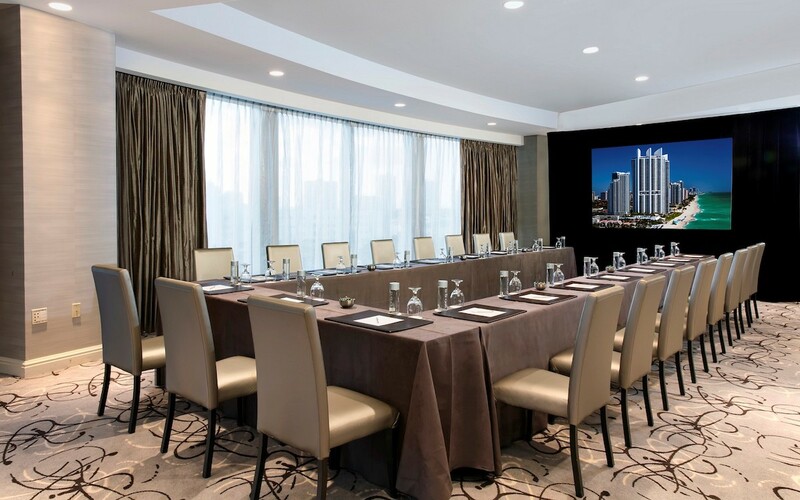 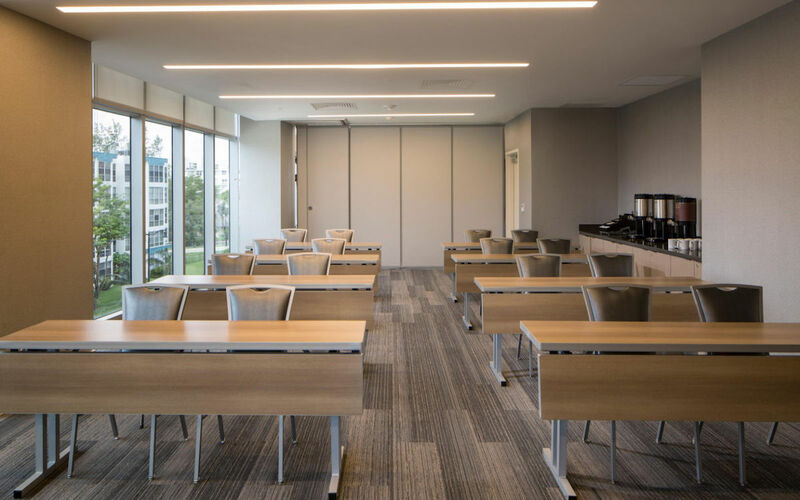 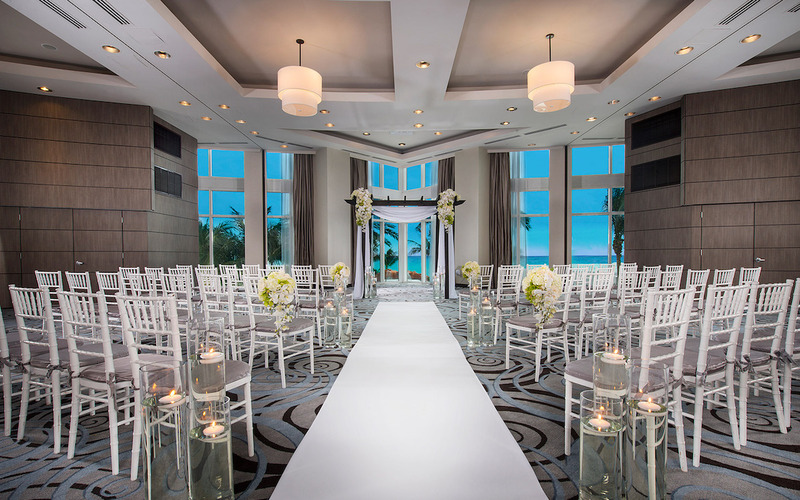 Featuring 12,000 square feet of flexible indoor and outdoor Miami conference space, all of our beautifully appointed meeting rooms include floor-to-ceiling windows with unobstructed view of the Atlantic Ocean. 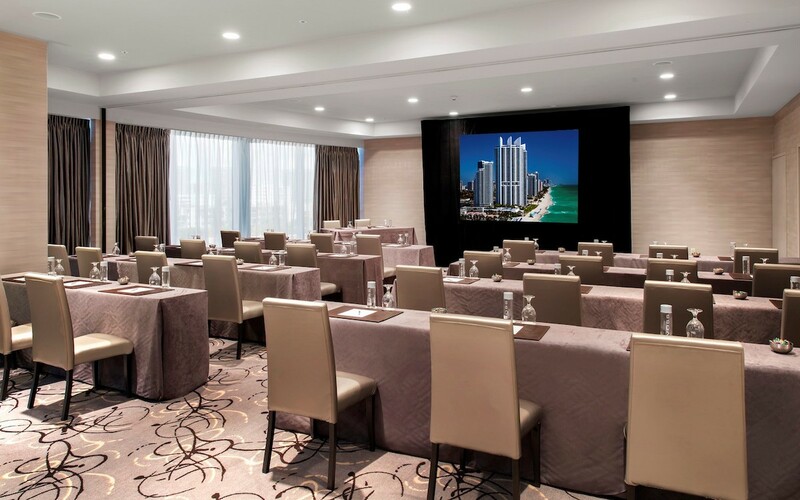 To ensure the success of your Miami Florida event, experienced conference personnel are available at every turn to assist you in planning and executing your agenda. 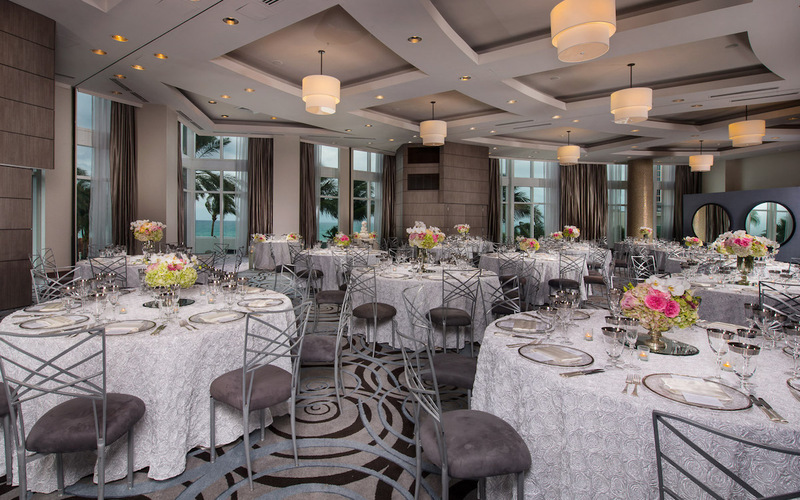 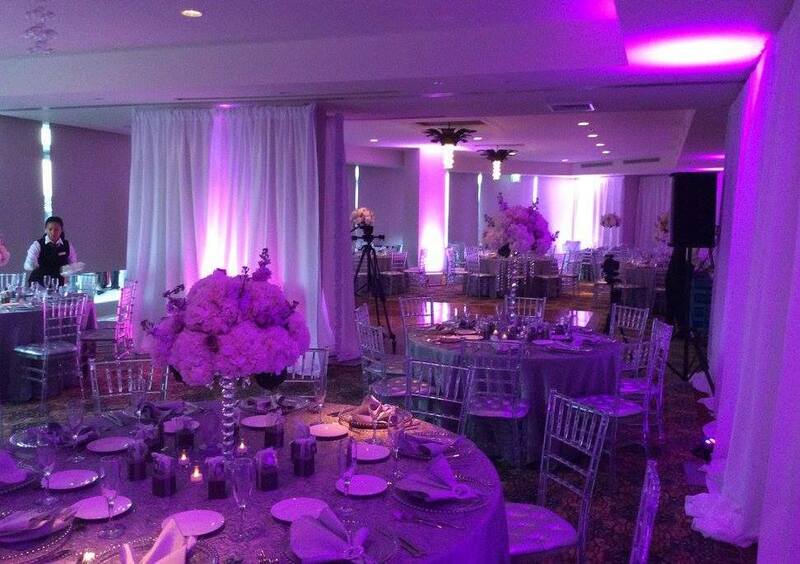 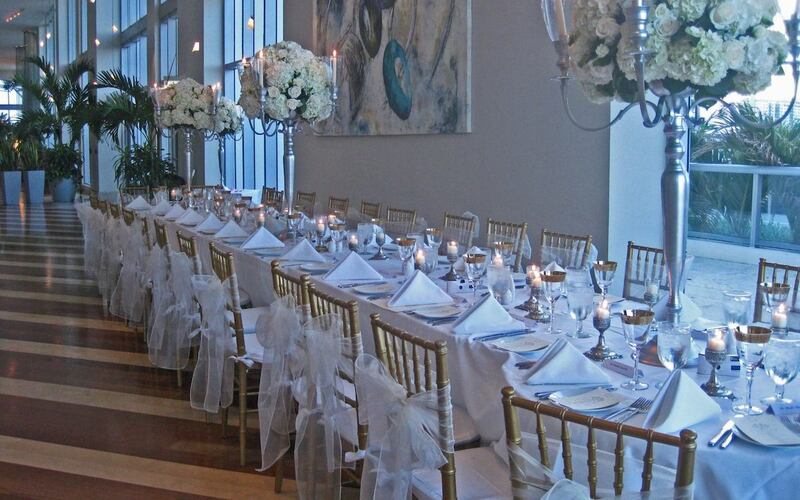 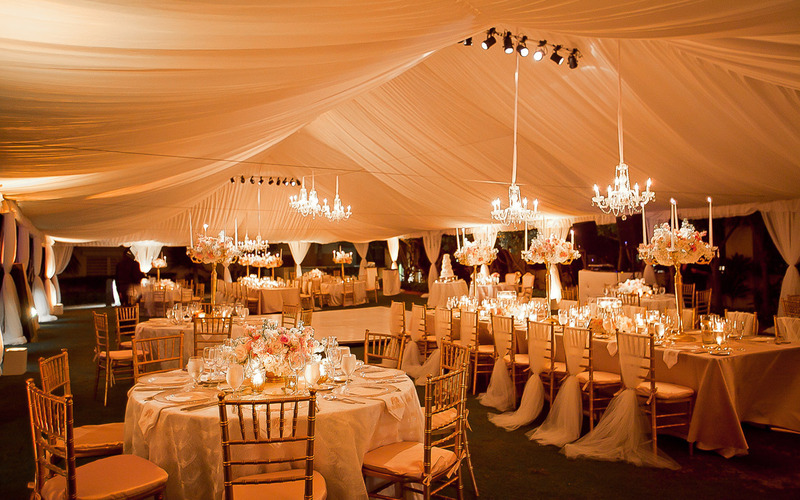 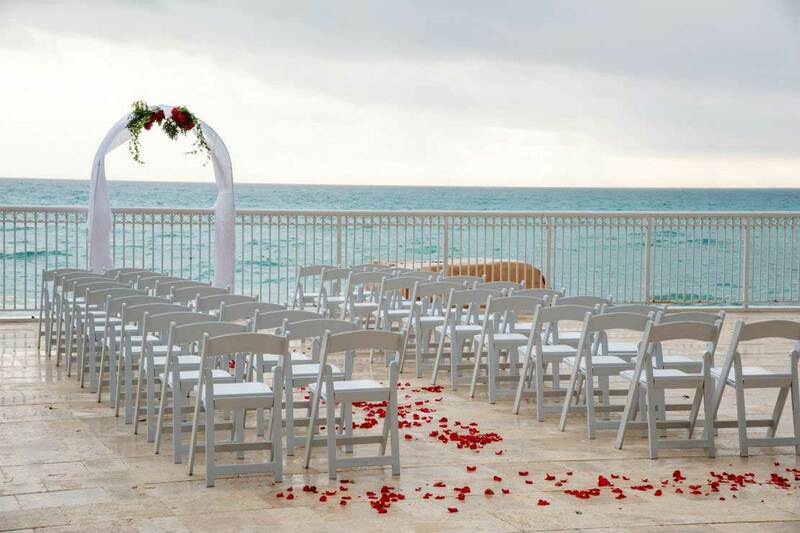 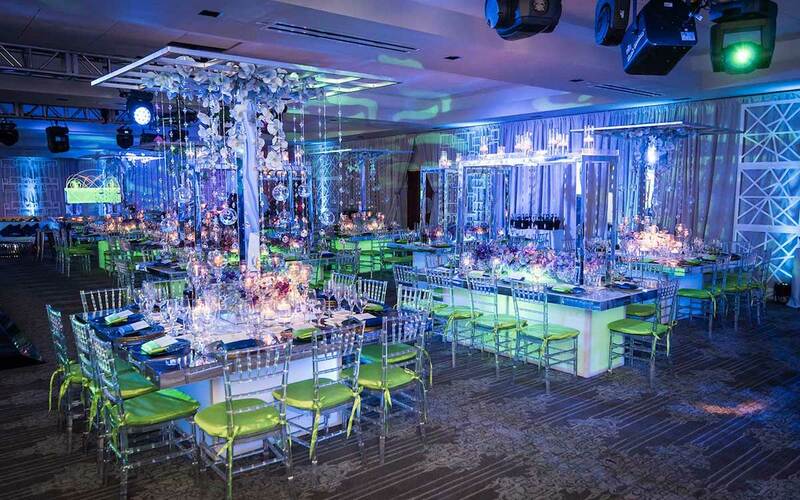 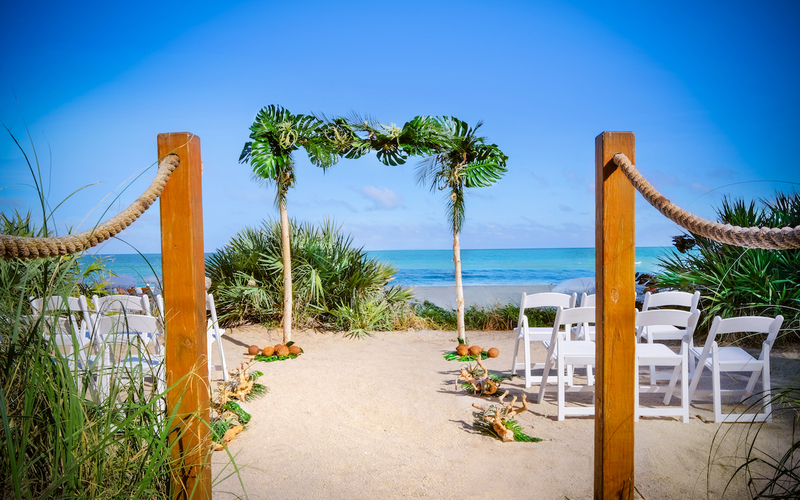 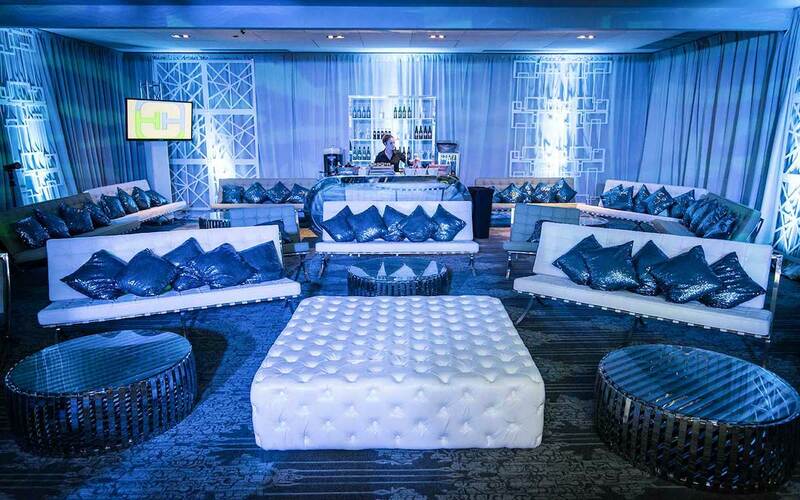 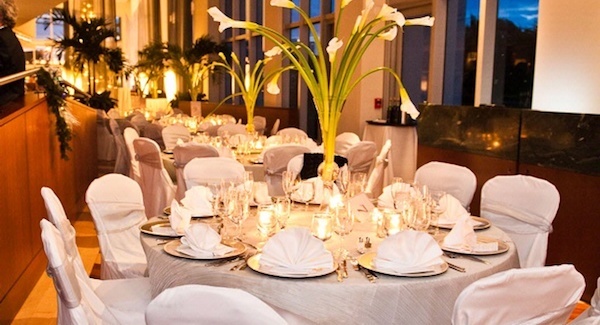 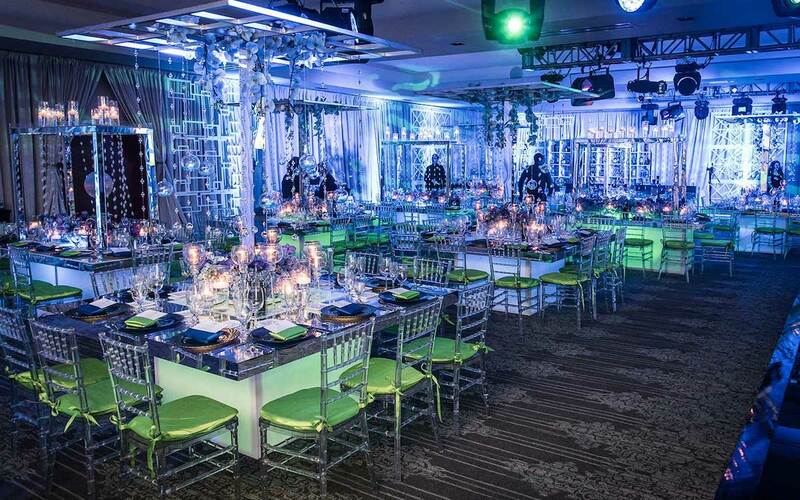 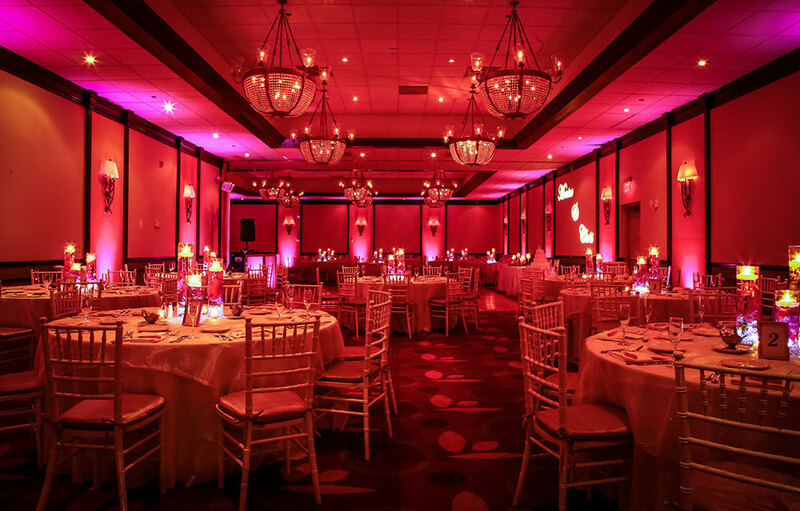 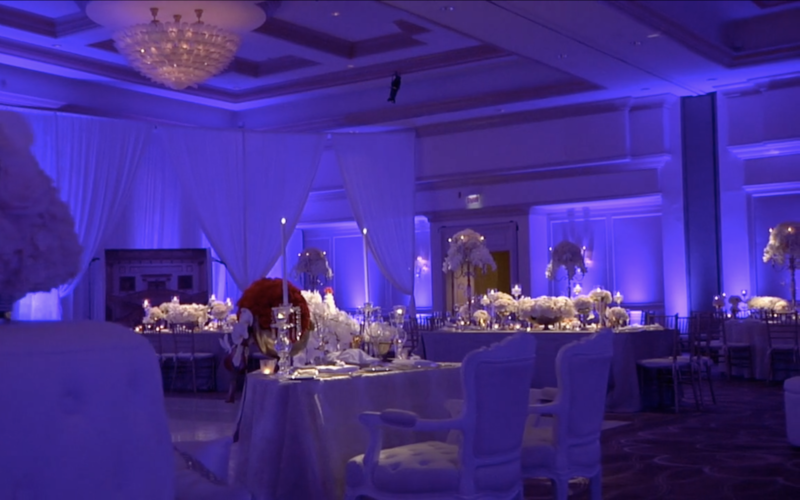 Whether you’re planning a lavish wedding in Miami, a joyous bar or bat mitzvah celebration, quinceañera, or a modest gathering between friends, our event facilities offer the perfect balance of upscale and delicate intimacy. 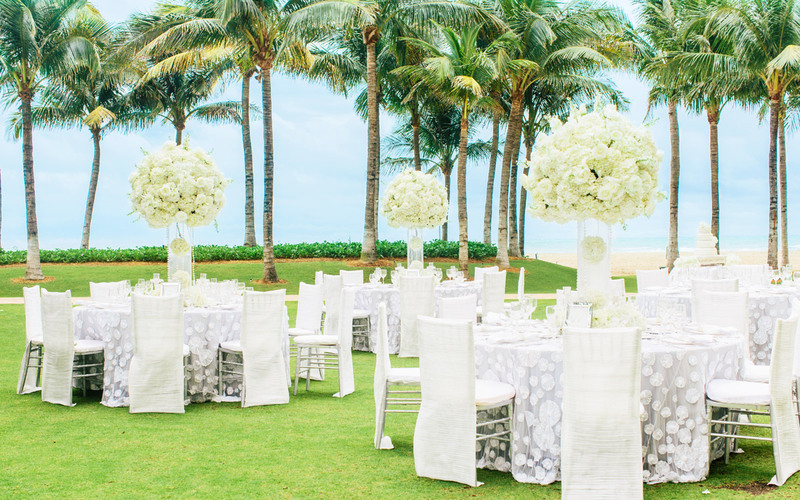 With captivating ocean views and the most elegant appointments at every turn, you will find no better setting in which to celebrate life’s most treasured moments. 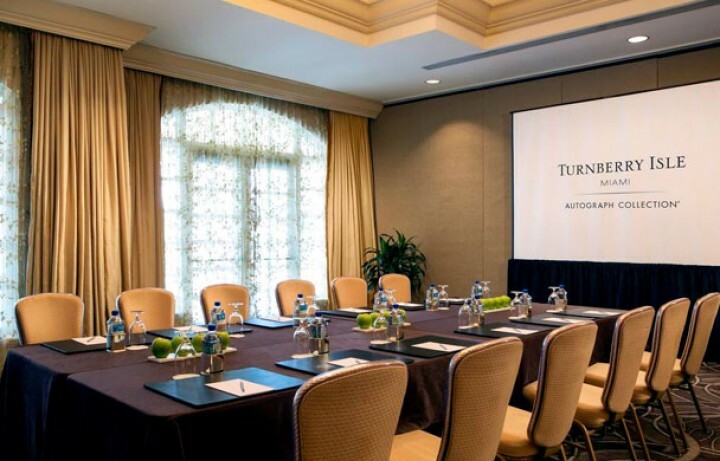 With a storied tradition of impeccable hospitality, Turnberry Isle Miami is one of the premier meeting and conference destinations in the country. 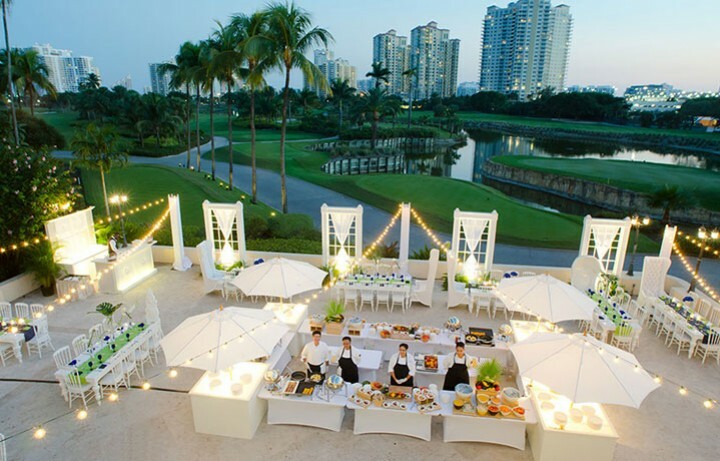 The resort’s centerpiece is our 40,000-square-foot Conference Center and Magnolia Courtyard, overlooking our Soffer Golf Course’s signature 18th Hole Island Green and a 64-foot waterfall. 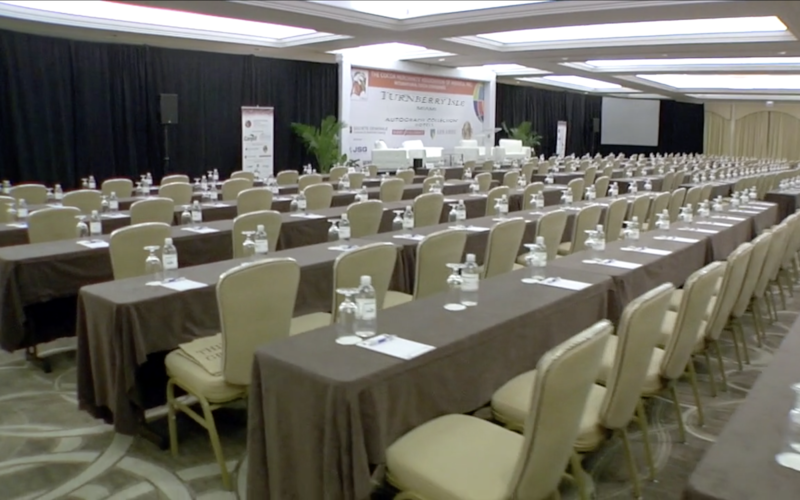 The Conference Center has its own separate entrance where a fully automated registration area is available for private conference check-in. 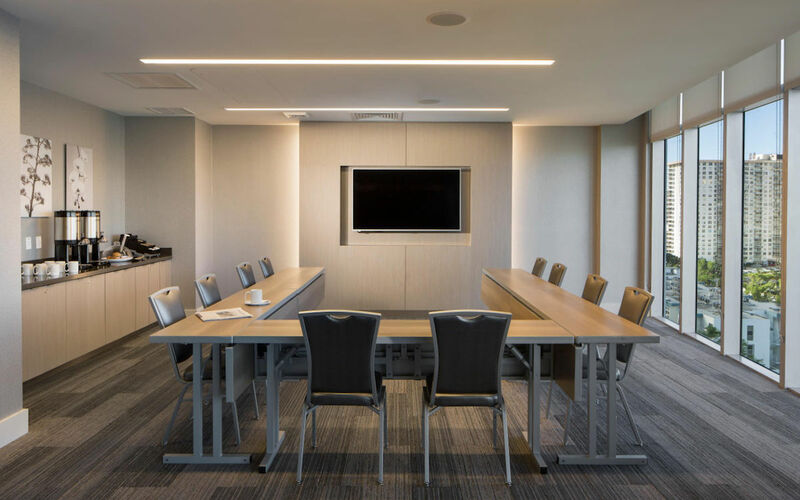 For your convenience, an on-site full-service business center and state-of-the-art audio-visual company are at your disposal. 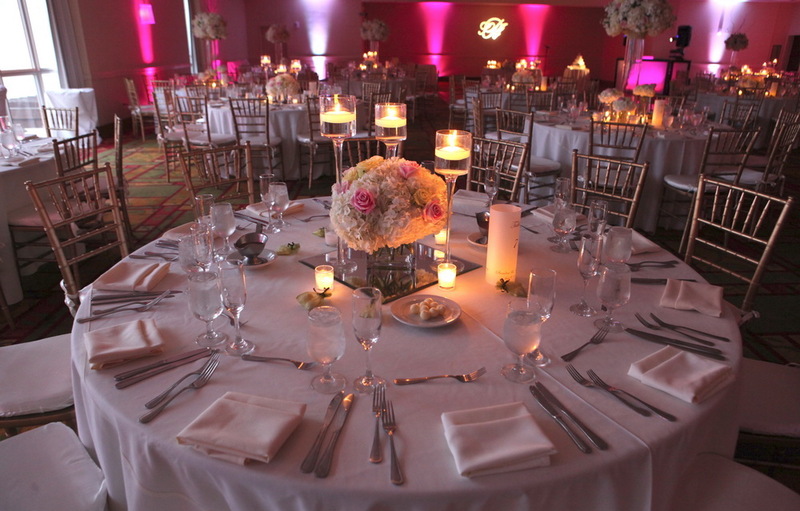 Award-winning cuisine is prepared by a team of skilled chefs. 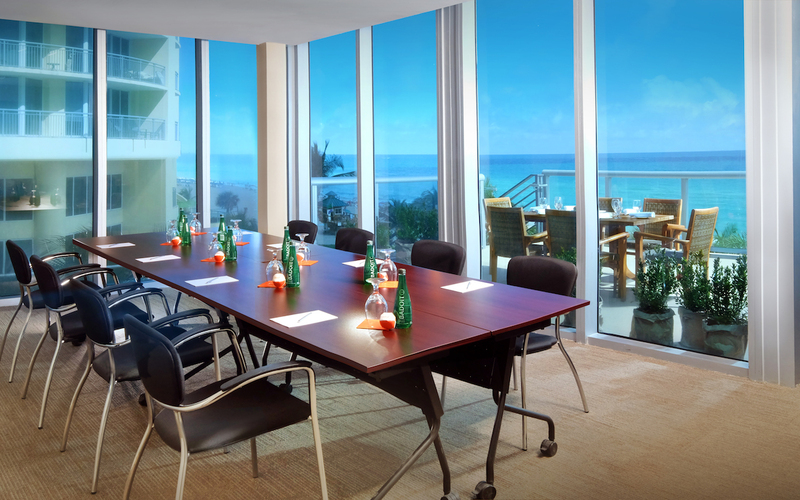 Marenas Beach Resort redefines the meaning of a business meeting. 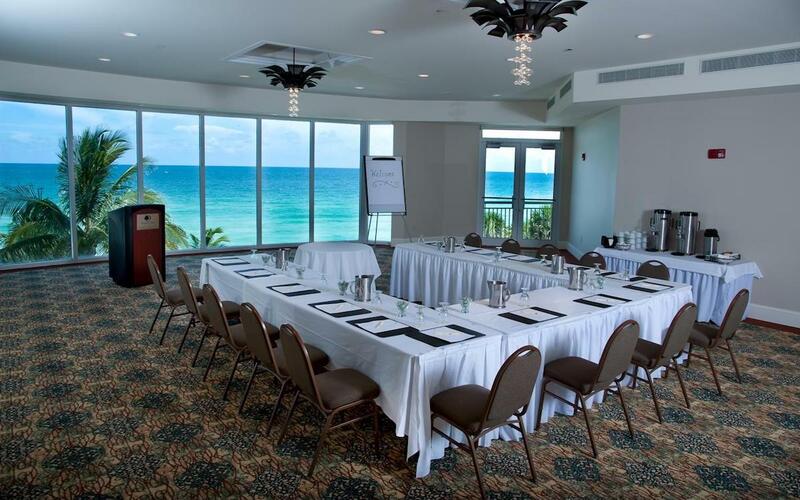 Along with luxurious accommodations and endless recreation, Marenas offers one of a kind meeting space with panoramic ocean views. 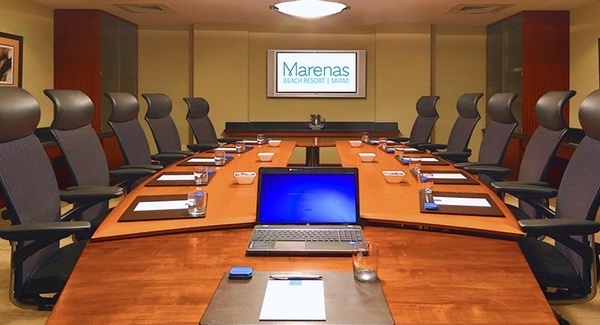 The Marenas Beach Resort redefines the meaning of a business meeting, offering first class meeting space for intimate groups of 10 to 100. 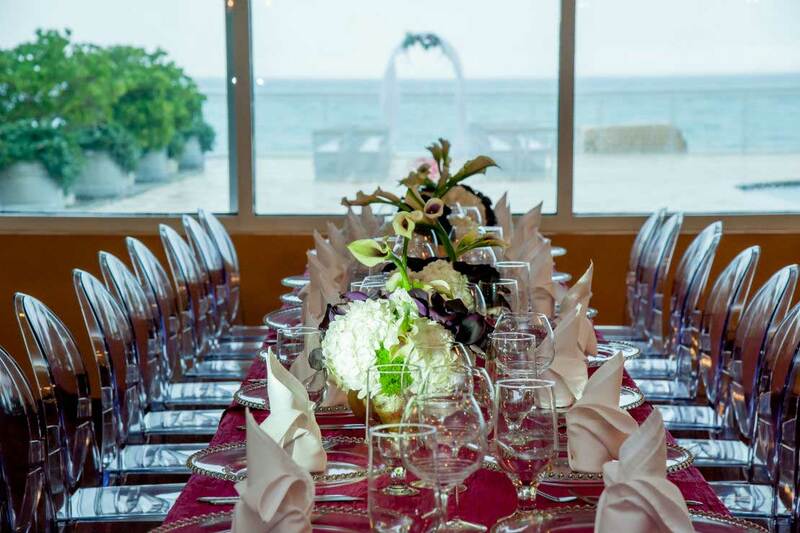 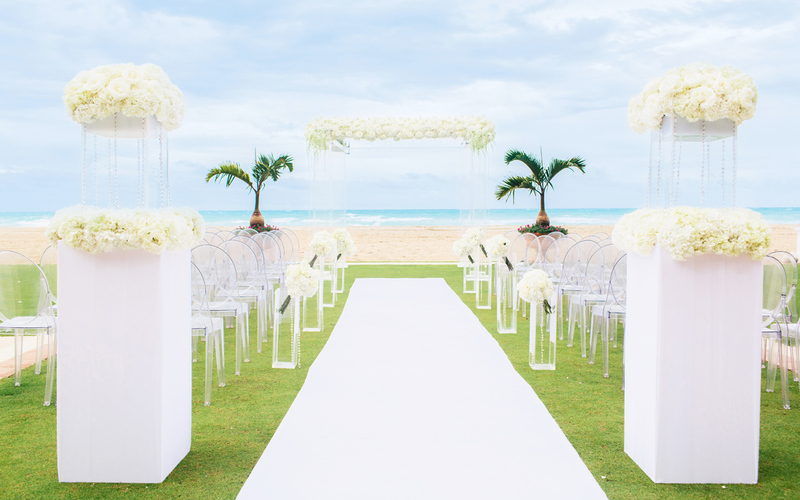 At Marenas Beach Resort, meeting and social event planners can expect extraordinary, personalized service. 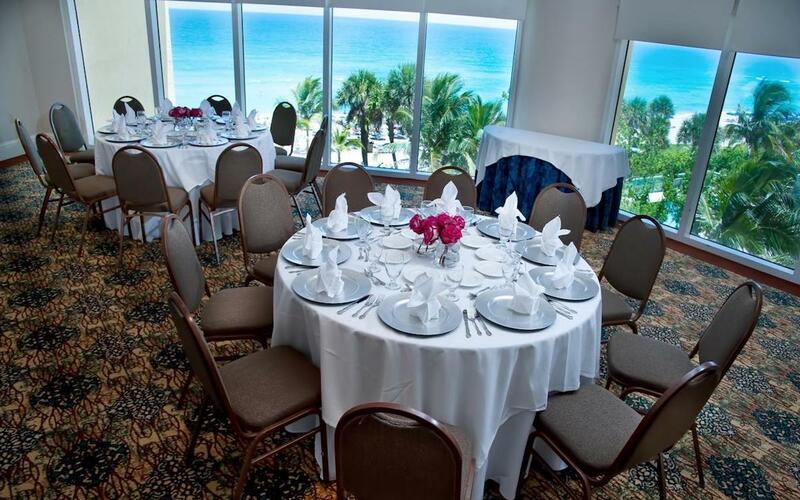 Whatever your needs, you’ll find unsurpassed service and possibilities at Marenas Beach Resort. 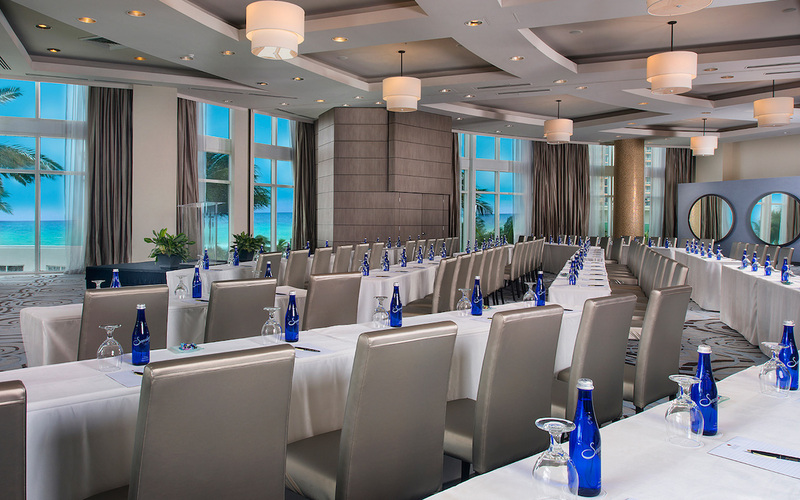 The Newport Beachside Hotel & Resort offers 18,000 square feet of flexible meeting space that is furnished with state-of-the-art sound and lighting equipment. 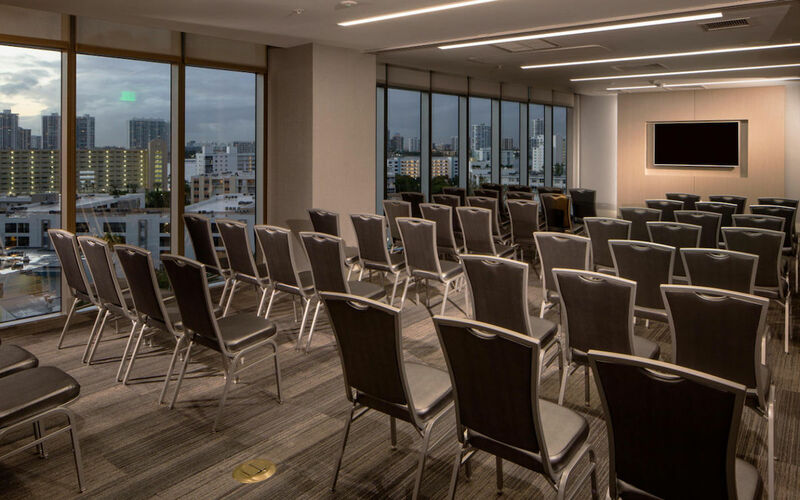 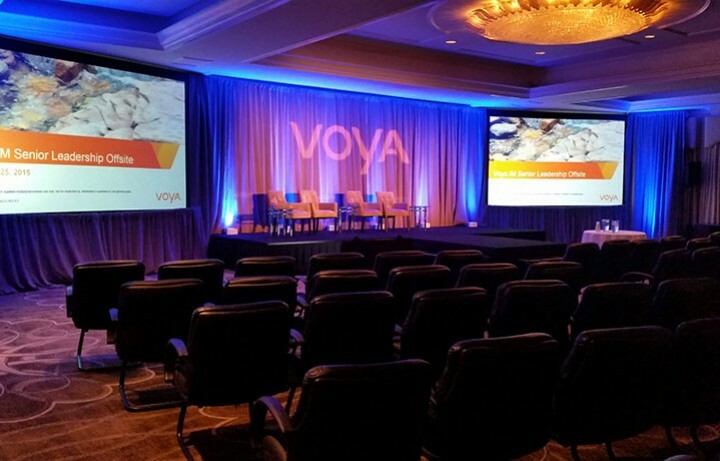 With meeting spaces ranging in sizes from 308 square feet to 4,800 square feet, we can accommodate groups of up to 500 attendees. 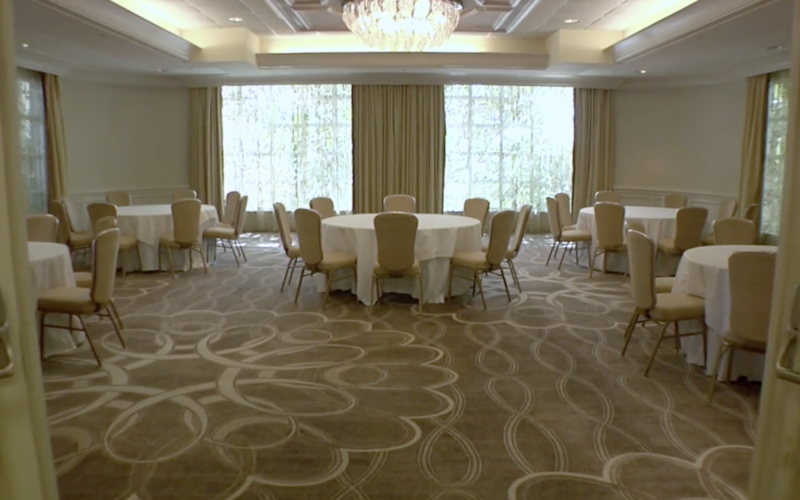 We can also create a unique space for your next meeting to help provide you with the ideal setting. 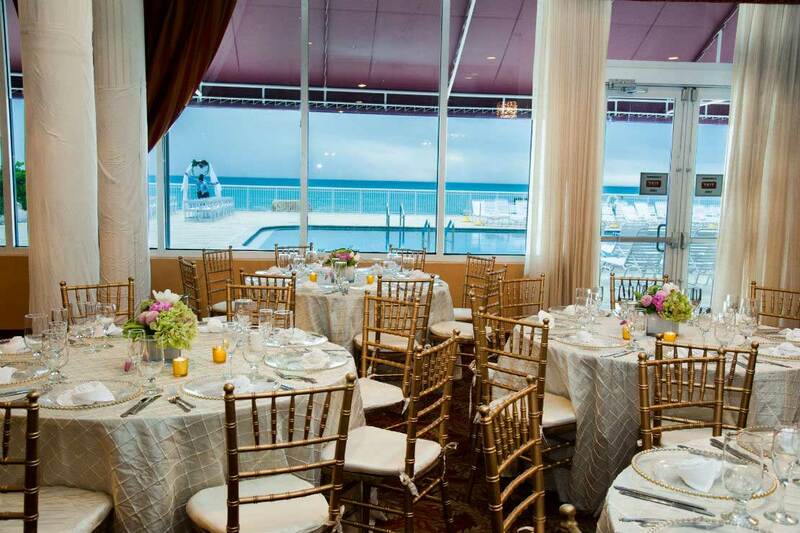 In addition to our great indoor space, we have our large pool deck that is perfect for business receptions or cocktail hours. 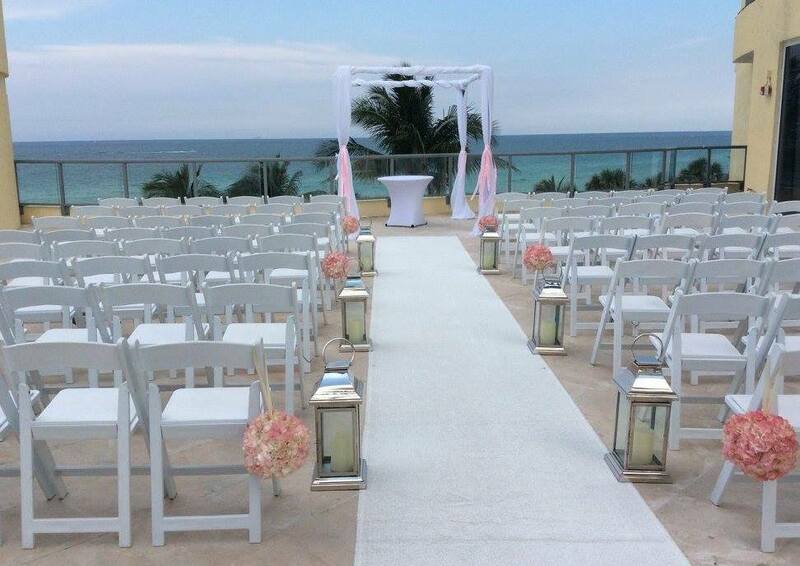 The beachfront surrounding the property also serves as a beautiful backdrop. 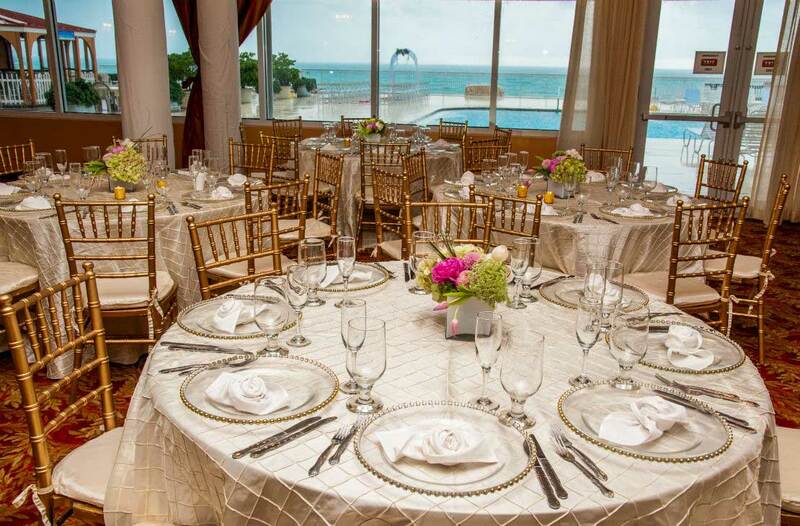 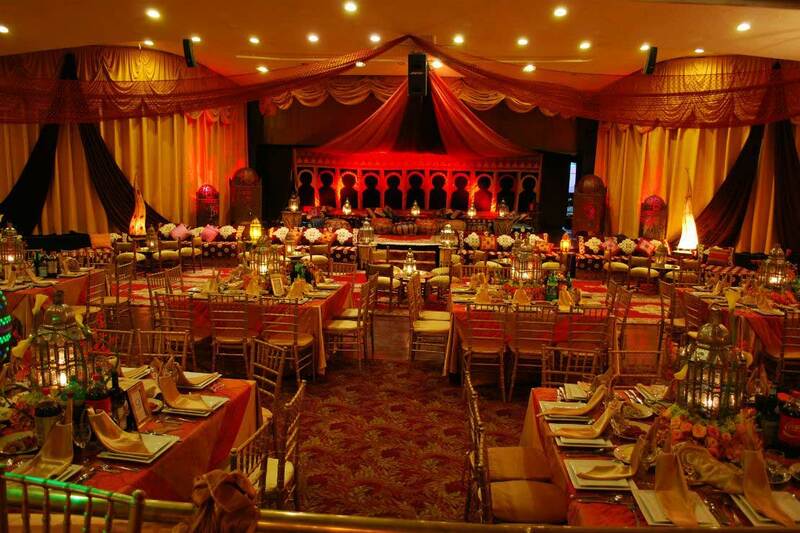 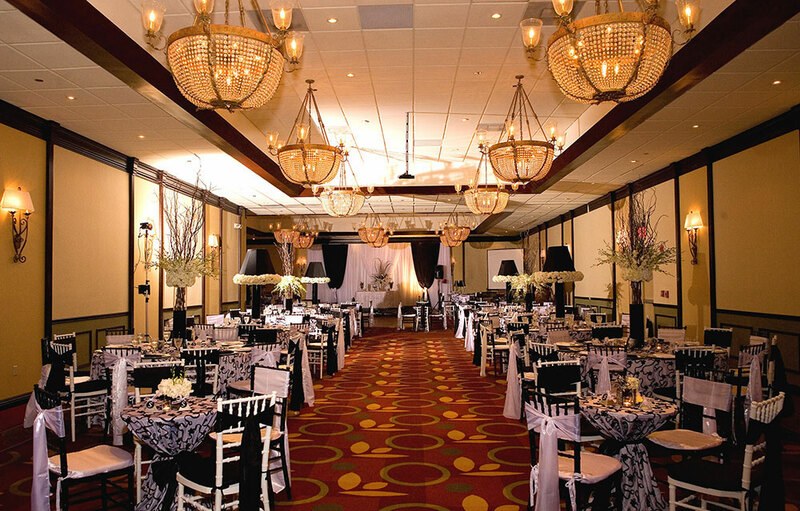 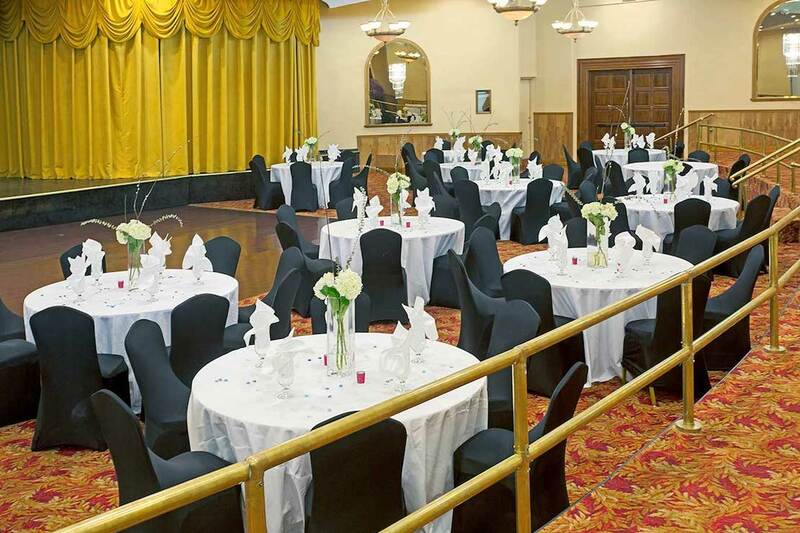 Our Atlantis Ballroom and the Atlantis Mezzanine are our most prominent spaces and as with all of our spaces they can be decorated to meet your specific needs. 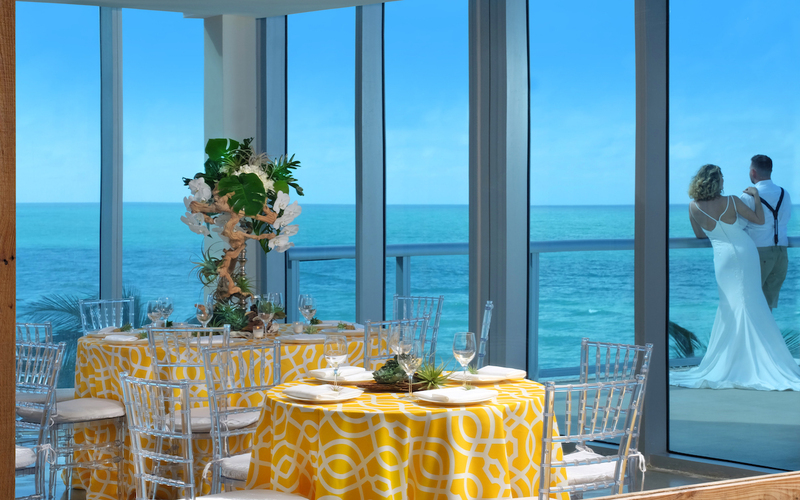 The Atlantis Mezzanine features panoramic windows that offer magnificent views of the Atlantic Ocean. 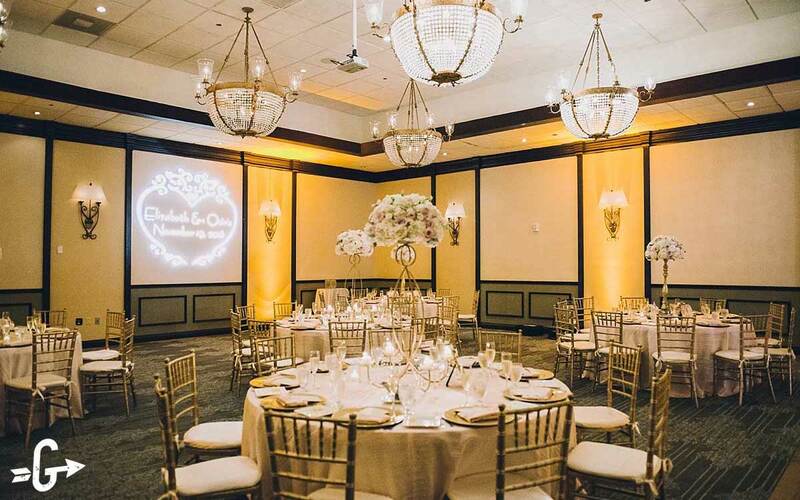 Located on the lobby level, the Tiffany Ballroom offers a private entrance with vestibule, so your guests have direct access from the valet ramp. 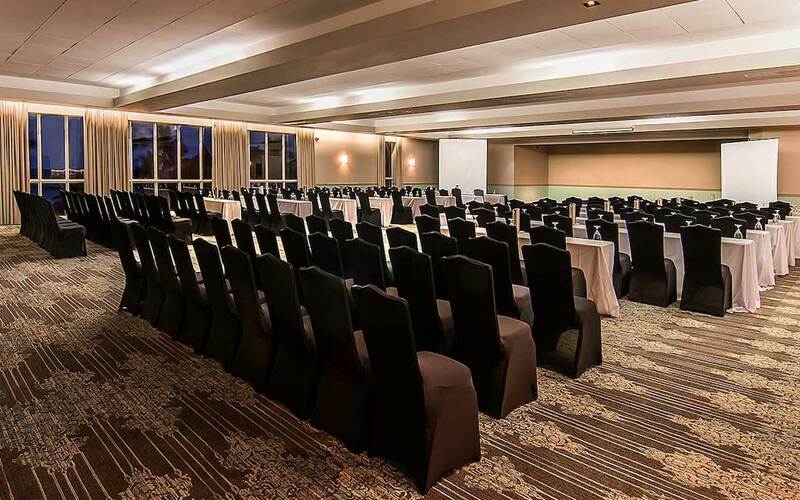 With over 15,291 square feet of meeting and banquet space, the hotel can host up to 600 guests in five meeting and breakout rooms, supported by on-site catering services and A/V. 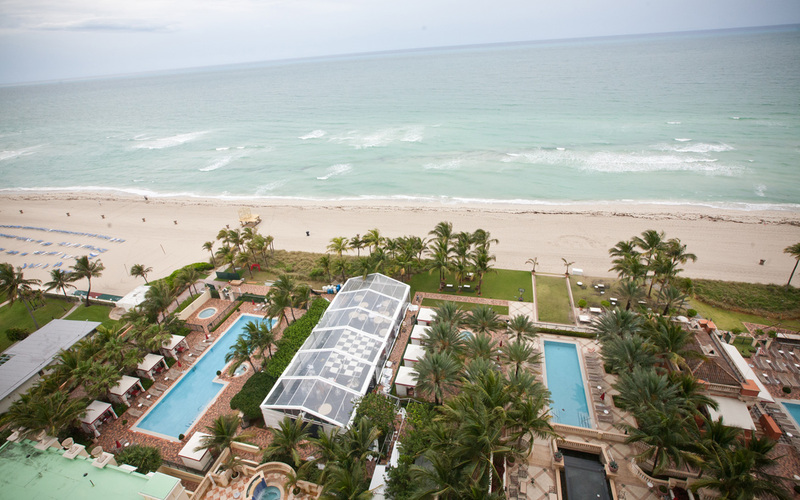 With over 3,000 sq. 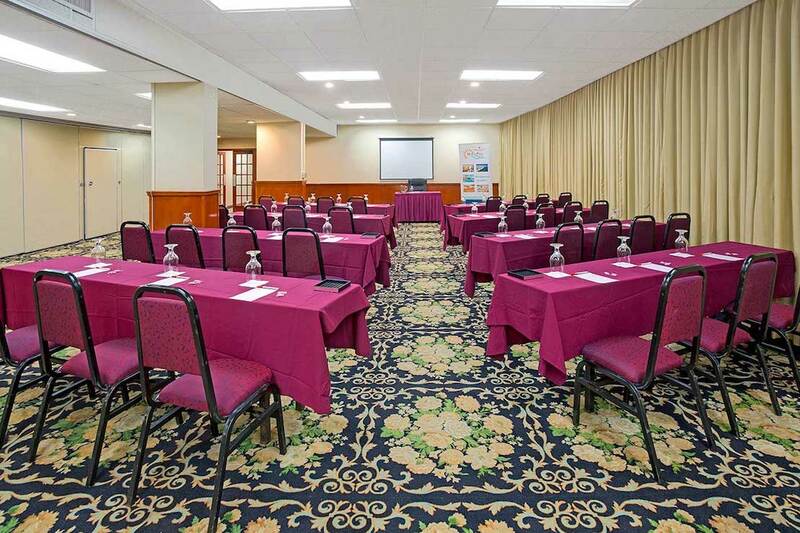 ft. of meeting and banquet space, the hotel can host up to 100 guests in three meeting and breakout rooms. 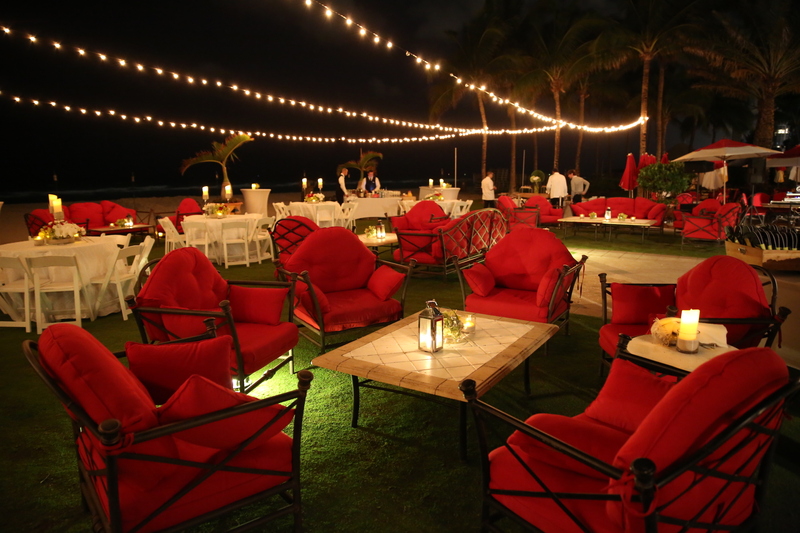 We offer two outdoor decks with an additional 6,000 sq. 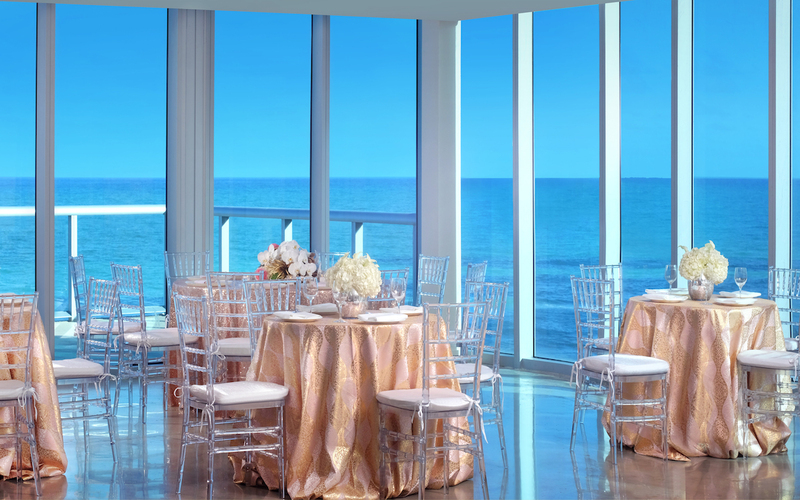 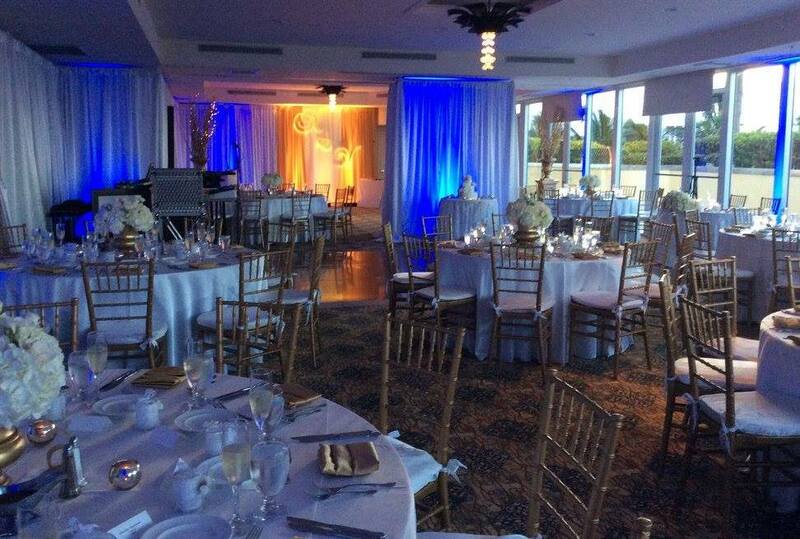 ft. of space, stunning water views, along with state-of-the-art AV services, and fresh innovative catering options. 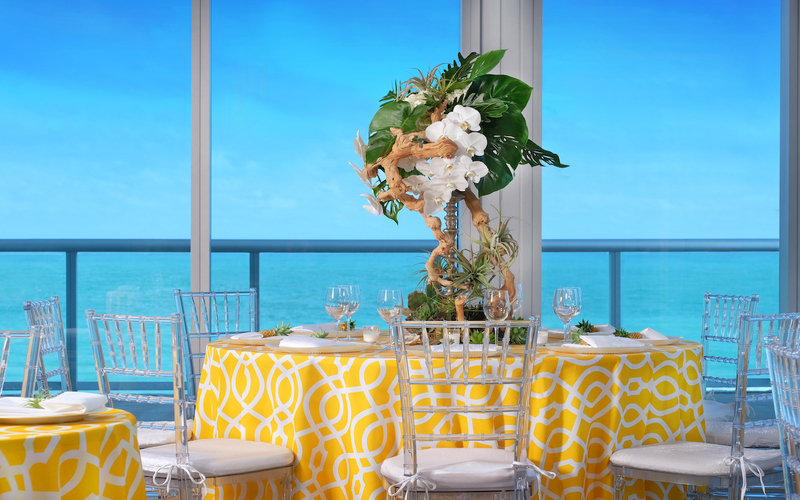 Think Outside the Boardroom: Propelled by the talents of our award-winning executive chef Philippe Ruiz, Solé on the Ocean offers unique settings with inventive culinary offerings. 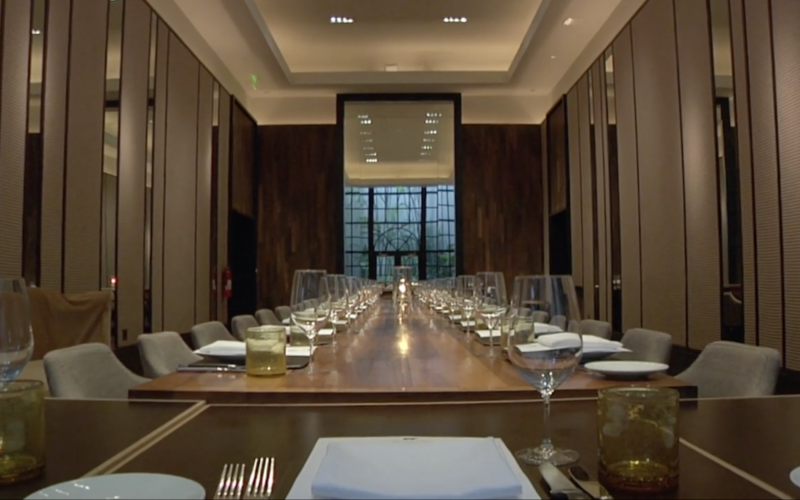 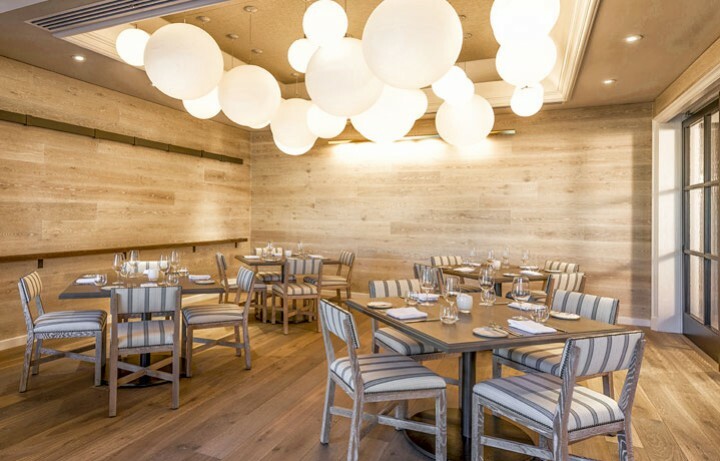 Dine by design with custom menus, creative mixology and first-class service. 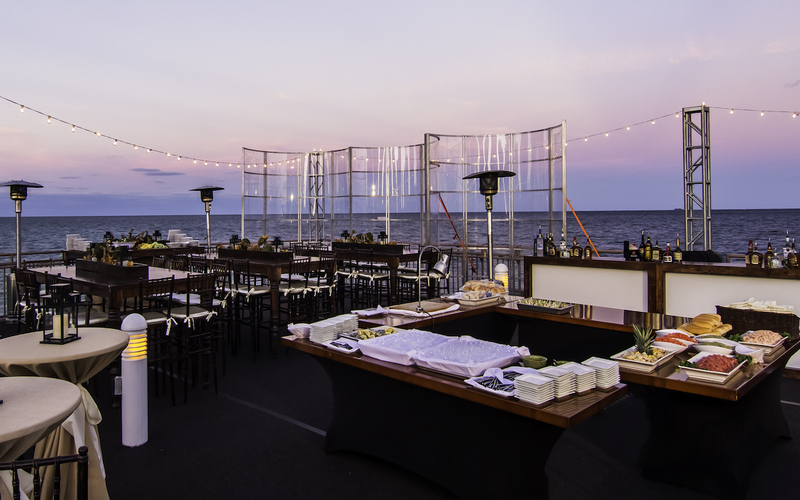 Together with our team of professional catering and event planners, we’ll ensure your guests enjoy unique, delicious and FABulous experiences. 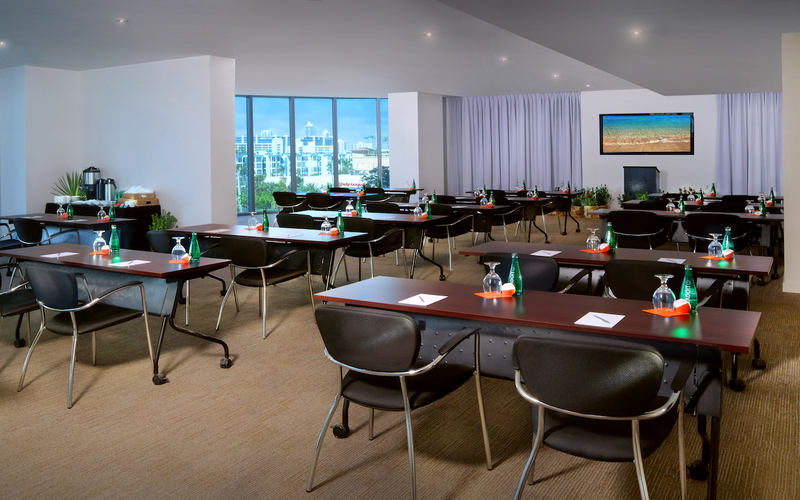 We bring the outdoors in with abundant natural light illuminating 22,000 square feet of newly renovated meeting and function space. 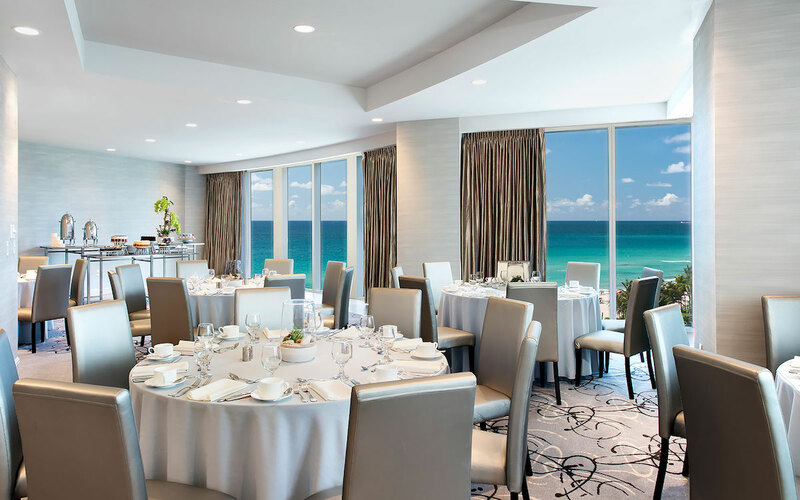 It is easy to access from all guest room elevators and features a 5,075 sq ft oceanfront ballroom with floor to ceiling windows, and 16 luxurious, fully equipped meeting rooms, many of which offer Atlantic Ocean or Intracoastal views. 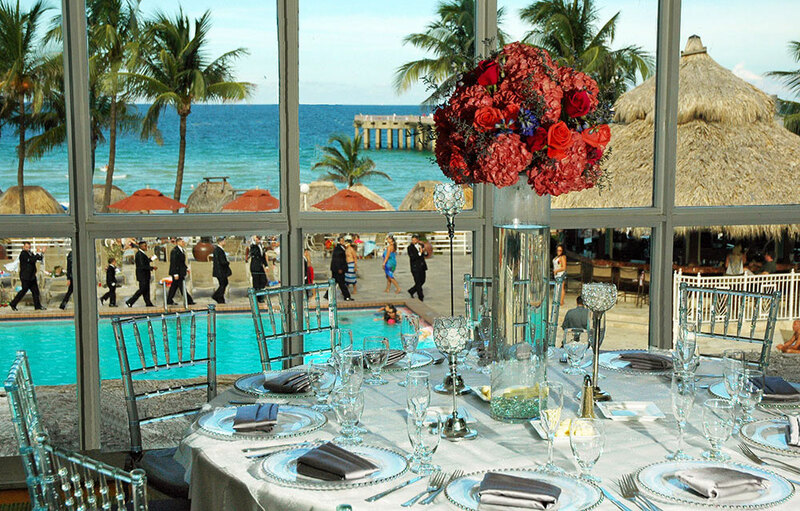 For an even better view, take your event outdoors to one of our five breathtaking spaces right by the ocean or pool. 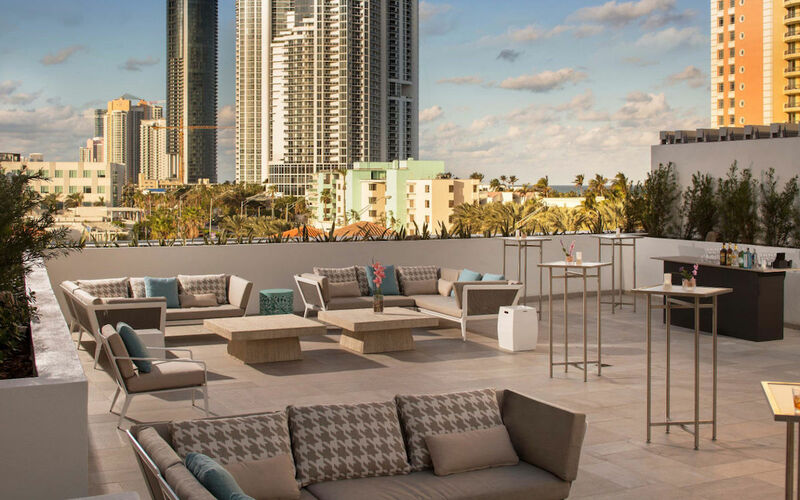 Meeting attendees can also enjoy our Rooftop Terrace rising 32 stories above the blue Atlantic offering spectacular views.